Join Tahola and more than 300 of your peers on 12th October in London to explore the latest innovations in data analytics. 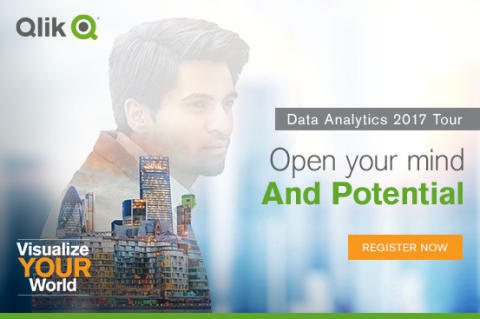 Tahola is a valued sponsor of Qlik’s flagship event which includes interactive sessions with expert guest speakers, and dedicated customer case studies from Rentokil-Initial, Avon and Somerset Constabulary, Lloyds of London, JLL and many more. All focussed on delivering greater insight and innovation from your data. Learn from our customers – Do more than just report data. Putting data at the centre of everything they do, our customers have developed apps that catch criminals, increase revenue and save time, money and even lives! Register now to book your place. You can find the agenda here. 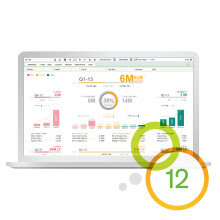 Qlik’s CTO Anthony Deighton will also be showcasing how the relationships between people, data and technology are driving a new wave of analytics that deliver true business value. Tahola provide bespoke and cloud based Data Management Solutions. As a leading software consultancy specialising in Data Warehousing, Business Intelligence and Performance Management solutions, our objective is to provide our customers with the management information needed to understand and explain business performance, regardless of their size or industry speciality. Our experience and consultative approach enables us to guarantee consistent quality, resulting in significant improvements to an organisations data strategy. The outcome being a unique and complete range of information that increases profitability through greater insight.